Danny MacAskill was back in Fife again this week after the filming of his Wee Day Out hay bale stunt at Braeside of Lindores inspired a new horse jump. This time his challenge was man v horse! 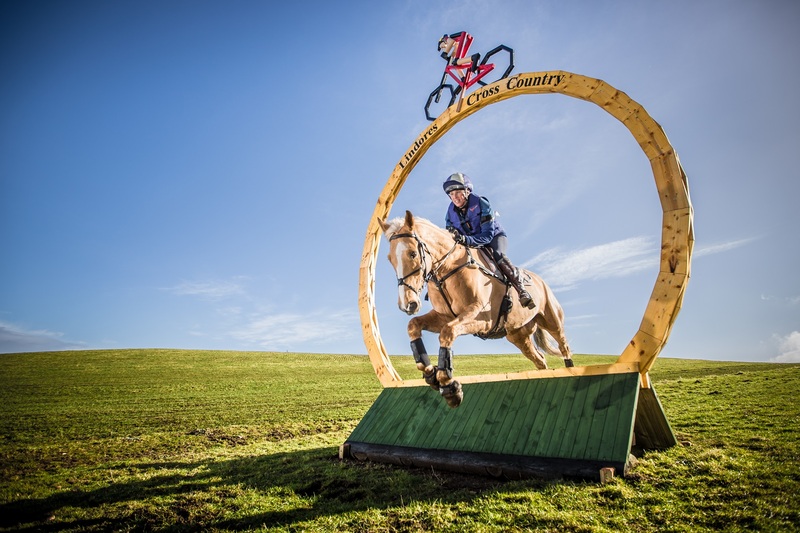 Lindores Cross Country, nominated as Equestrian Business of the Year 2017 by HorseScotland is the location of Scotland’s newest and most iconic hay bale horse fence. The horse jump was inspired by Danny MacAskills hay bale trick from the – ‘Wee Day Out’ Red Bull film which has had over 7 million hits online. In 2016 the globally recognised mountain biker Danny MacAskill attempted one of his most creative and hardest stunts ever at Lindores, Fife. 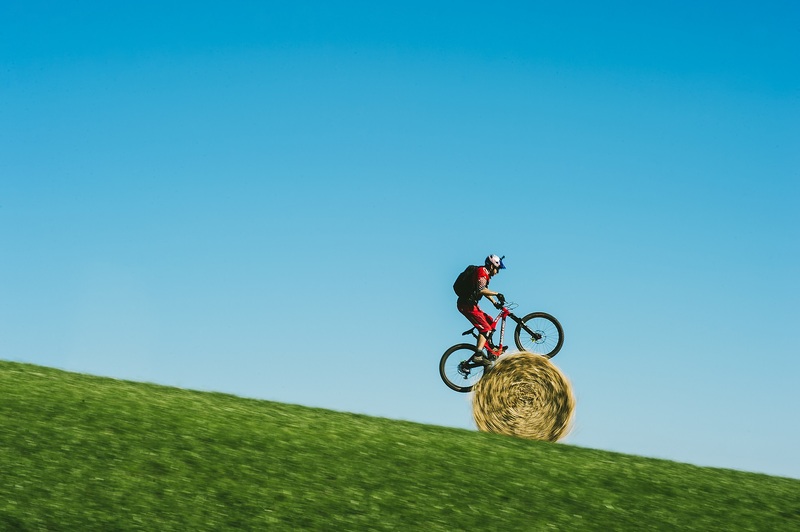 Danny cycled down a grass field, caught up with a rolling bale, mounted and dismounted it on his bike all while the bale was still gaining momentum rolling down the hill. Extremely dangerous and brave! Anna Black, who manages Lindores Cross Country, where the filming took place was incredibly inspired by Danny’s three days of persistence, skill, and creativity. Anna regularly sees these qualities in the horse riders that camp, train and holiday at Lindores. Danny however, took his determination to another level and didn't give up until he got the stunt he so desperately visualised. So Lindores Cross Country now has a horse jump to remind all sportspeople that when you put your mind to a challenge, anything is possible. The creator behind this iconic horse jump is British Eventing Course Builder, David Wilson. David designed and built the 6 metre high structure. It's a double sided palisade jump with keyhole, which allows horses to jump the fence in both directions. The jump is 60 cm downhill and 95 cm uphill. At 3 m width it makes it suitable for most levels of riders. The ring of wood that creates the surround is made up from 72 pieces and the bike and rider are made of wood and painted to re-create the effect of the original picture. Set overlooking stunning countryside views of Perthshire, Angus and Fife it really is breathtaking. 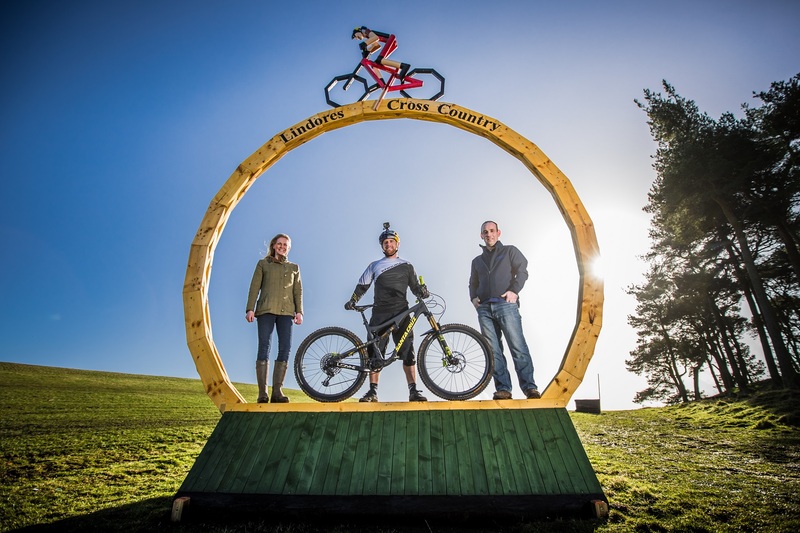 Danny MacAskill and one of Britains top eventing riders Louisa Milne Home officially opened the fence and spend the day filming stunts over many of the 125 British Eventing standard fences and water complex at Lindores Cross Country. Louisa has been training at Lindores since it opened in 1989 and her training, like Danny’s, has been key to her success. Louisa has been long listed for the British Europeans, was one of only six horses that completed Badminton and Burghley in 2014 and her famous horse King Eider, who started learning cross country at Lindores, is aiming for Badminton this year. 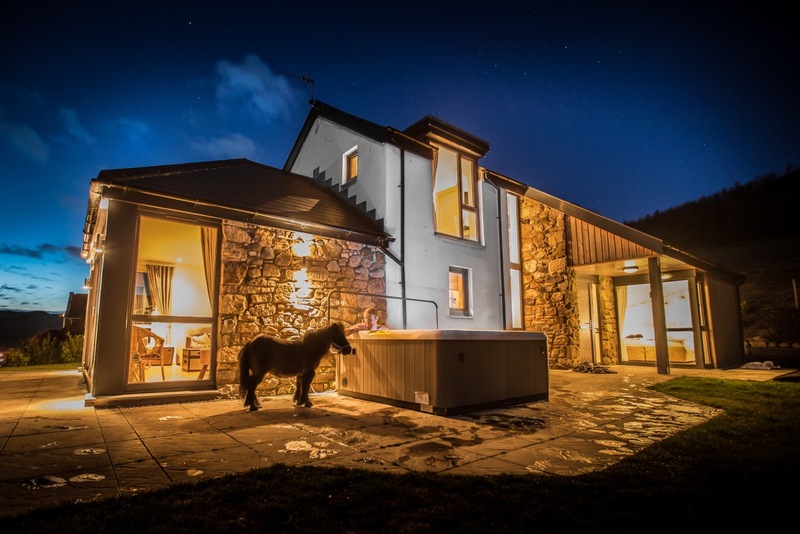 At the end of the day Danny stayed in the luxurious Lindores Lodge and enjoyed a well deserved soak in the hot tub!